Me and Allan at digitalDrummer had recently a chat about how a pair of real e-sticks would be designed and have for kind of specs. Allan have tested many e-sticks from several manufacturers in dD through the years. 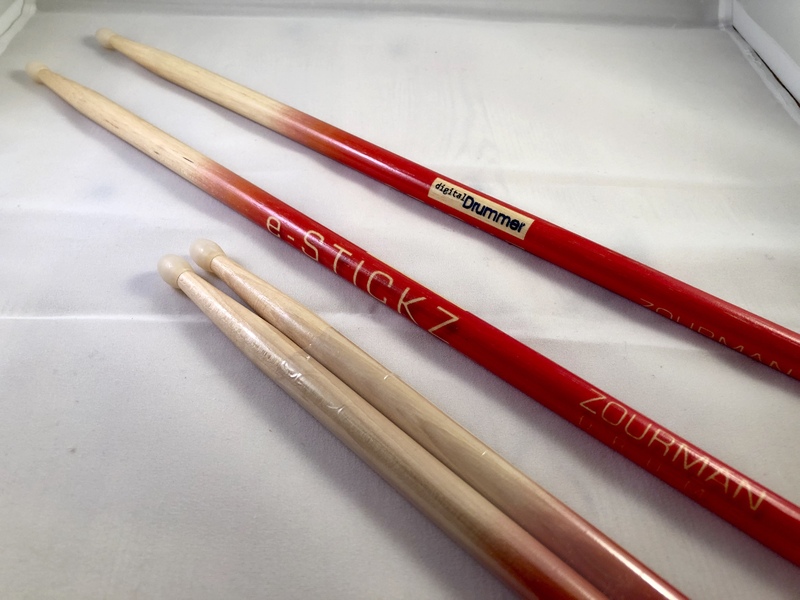 We decided that a pair with the stick size 7A and which was equipped with a nylon tip would probably be our perfect choice when selecting models. I don't have access to custom stick makers, but I did want to make mine a little quieter on rimshots so I tried some heat-shrink tubing on them...…. Nice there Paul707! That’s the way to do it. Best regards & Merry Christmas! I had a pair of 5a Carbostick (totally carbon fibre) while in residency in Abu Dhabi between 2004 and 2007. I was playing on an Ddrum4 complete kit. They cost about £15 I don't think I broke a single one! Well, until I started playing back on acoustic drums, then they broke! Hihats and rimshots on bare rims eventually got them. That was some value. Looks like they're not made anymore otherwise I''d still be using them.